I had the pleasure of interviewing the lovely Amy Walker of Lennie & Co about life as a Mum Boss. Amy shares with us how an art project with her adorable son Lennie turned into a business and how she has grown it into the success it is today. I am a 30 year old mother to an awesome four year old boy named Lennox. I am a Graphic & Print Designer by trade. I studied Fashion Promotion at the University of Central Lancashire and have worked in Graphics for numerous brands over the years. We live in Devon on the coast with my boyfriend Pete. The boys want a cat… I’m not sold on the idea yet! Tell us about Lennie and Co and what gave you the idea to start? You could say it was by accident. I never thought of starting my own brand before this happened. Lenn & I were block printing bunting for his room. I made foam letters which seemed to work really well so I decided to make Lennie a T-Shirt. It looked ace, so I set up an instagram page and started selling them. People bought them and it took off from there. We wake at 6:30am. Lenn has milk, I have a coffee on the sofa and start the day by watching the sun rise over the sea. It’s kind of our morning ritual! Lenn goes to nursery and I go to work (I work full time as a Graphic Designer) then I come home, cook dinner, bath and get Lenn ready for bed. I then head to the studio and begin work again on Lennie & Co. The part I find most relaxing is the packing. There is something really satisfying about packing the little parcels to go to their new homes after all the hard work is done. I always write a thank you note in every parcel, it helps me remember and recognize returning customers too. I aim to never stop writing notes to my customers. It makes us real to them and them real to us! Drive. To be an awesome Mum but also more than just a Mum. In a way, I couldn’t wait to return to work after maternity leave because I was 27 years old. I had turned into a Mum and lost everything I was, 10 month before. 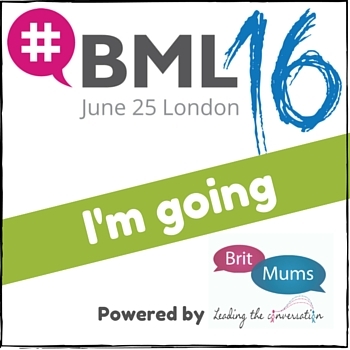 Now I embrace both motherhood and my career in equal measures…. Nearly! Taking weekends off, like really off. It’s Lenn time. It doesn’t always quite work, I may sneak down to the studio whilst he sits in front of Ninja Turtles for 20 minutes. I don’t know many people that have what they find a healthy work balance. That’s why Mother Pukka is dancing around in lycra, to raise awareness of the nations need for Flex Appeal. My Mum. She’s the nicest woman ever but means business. She spent 34 years working for M&S and retired at Store Manager level. She’s incredible and set a real work ethic for me to follow. My Dad had a successful job and was always the bread winner but my mum never stopped working full time and climbing her own career ladder. I always ensure I take a few nights off a week, although it’s probably only two. The weekends are ours, we spend time at the beach come rain or shine and take time to enjoy each other and our little family. Nothing fancy at all, just good outdoor fun. I also love to travel and often get distracted by planning adventures overseas. Be ORIGINAL! Don’t think that copying someone else will mean you will be as successful as them. Chances are you’ll fail, as you will always be one step behind them. Build your following and look after them. Be true, be current, be you. I love my customers; I know many of them through the power of social media. They are very important to me because without them I would be nothing. Personally, I would recommend not jacking in your job and thinking you’ll earn an instant salary. The struggle is real I’m not sure anyone is acing it. Lennie & Co is 2 this year… I’m still working full time. Have a plan. I didn’t, I’m not sure I still do but I’m working hard and I am very lucky to have something I enjoy. If you don’t enjoy it, don’t do it. Having your own business is about being happy and passionate to work. Sure, we all have our down days where we’d rather drink tea and eat Malteasers on the sofa but do what you love. My little art project with Lenn has evolved into my little business and for that I am very lucky.